Have you heard about that viral video that everyone is talking about? You know the one. It’s the YouTube video featuring cats doing the Harlem Shake while making a tricky shot from the bleachers? I’m kidding, of course. But you can’t deny the financial impact that going viral has on our pop culture obsessed society. Take South Korean pop singer Psy, for example. In 2014, his song Gangnam Style became the first YouTube video to hit two billion views. Which, in turn, earned the artist a cool 12.5 million dollars in commercial deals & digital sales. Obviously, content marketers are obsessed with creating the next viral hit. But do these sensations happen by chance? Or is it something that can be carefully engineered? The answer may surprise you. It may seem arbitrary but all viral content actually has one thing in common-the ability to tap into an emotional response. The more intense the potential emotional response, the greater traffic the content will generate. This phenomenon was recently the subject of a study conducted at the Wharton School of Business. 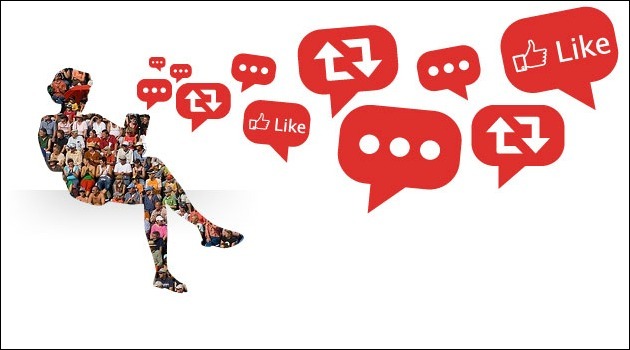 In it, researchers discovered that social sharing was more likely prompted by positive content. But more importantly, they learned that materials that generated high complex forms of psychological arousal (anger, awe or anxiety) were shared significantly more than others with a lessor emotional state (i.e. sadness). So beyond the cuddly kittens and acts of kindness, viral content has to engage consumers on an emotional level in order to encourage them to pass it on to others. This connection can be established best through using words and images that best bring about these feelings. Although it is possible for content to go viral without all of these five elements, the likelihood of success increase if more than one are present. Even if you created the most incredible content, it would be difficult to gain an audience without the right headline. Identifying the words that work could make all the difference in driving customers to your site. Relying heavily on building curiosity to drawing people in. Old Spice is a sterling example of how an old product can find new life through viral content. The grooming products, which recently celebrated their 80th anniversary, was suffering from declining sales as recent as 2010. That’s when parent company Proctor & Gamble decided to change the brand’s stale image. Through focus groups, they realized that Old Spice was mostly rejected by millennials as a fragrance more suitable for their grandfathers. To counter this, they cleverly began the “The Man your Man could Smell Like” campaign featuring Isiah Mustafa. The unusual ads, which often featured quirky imagery such as a Mustafa dressed as a Minotaur, were featured online as well as male-oriented networks such as Spike TV and Adult Swim. They also tapped Tim Heidecker & Eric Wareheim, who had gain fame through their own absurdist Adult Swim show, to direct some of the spots. Although Old Spice’s more traditional customers were confused by the content, it quickly resonated with males in the highly-coveted 18-34 age group. Content that goes viral always engages on an emotional level. The material must be entertaining, relatable and informative in order to be sharable.